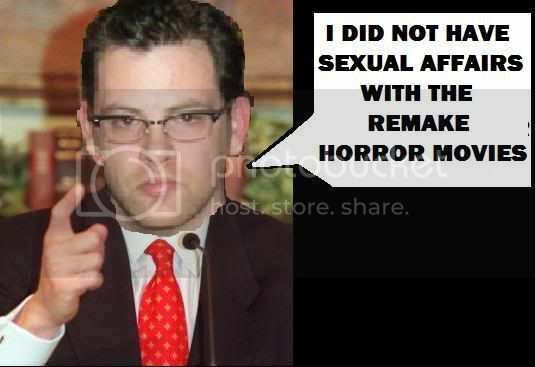 John Clinton Makes His Public Speech About Remake Horror!!! Apparantly Mr. John Clinton has started a Rebel Club in the White House today. Claims to burn every new Horror Remake that comes out!!!!!!!!! I am with you John! He didnt specify oral or not though....and he's kinda not looking into the camera!